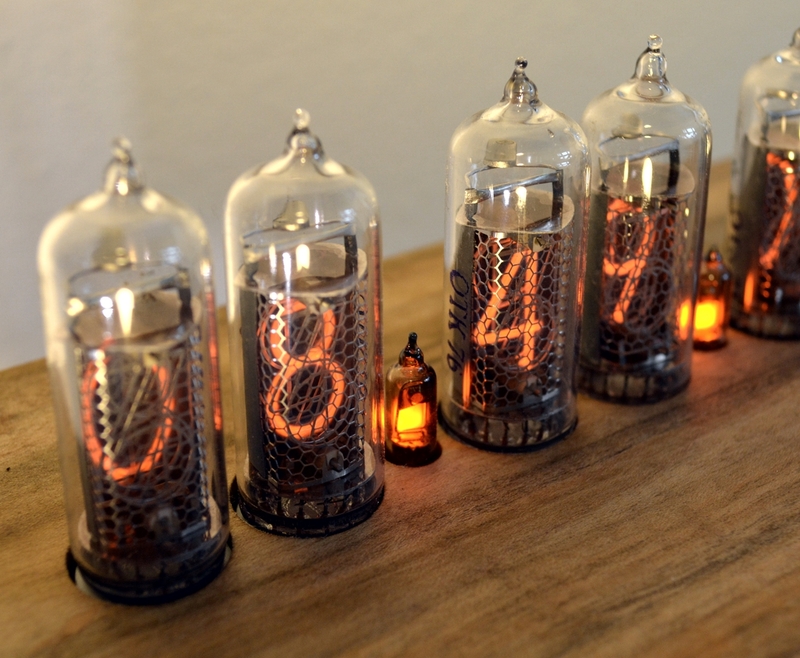 Although they may look like vacuum tubes, Nixie Tubes are more related to neon lights. If you want to get technical, they are known as "cold cathode tubes" since they have no "heater" like a vacuum tube. They do contain Neon which glows orange around any digit that has a voltage (approximately 160v dc) applied to it. But each tube has individual numercial elements (digits) from 0 to 9 assembled in a stack (see video). Thus as time ticks off sequentially, the digits seem to move from front to back in the tube. Also, they are very efficient and run very cool and therefore last a very long time. 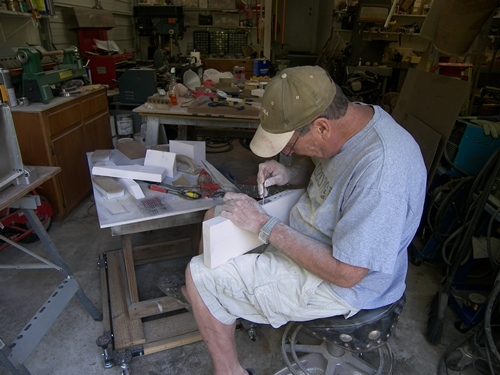 Although no longer made, there is a supply of "new old stock" still in existence. Should one fail, they can be easily replaced and my clocks come with a 1 year warranty.